Bosrijk is Lacking Suitcase Space! 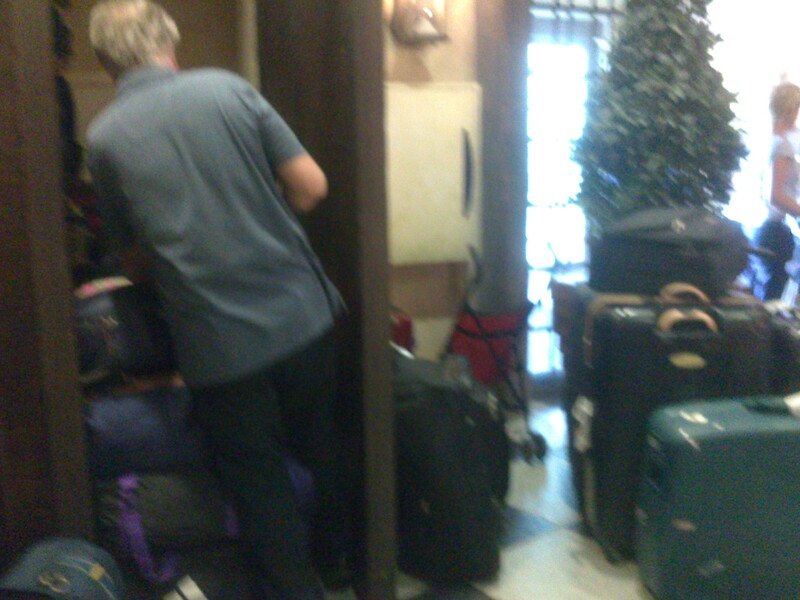 There are a LOT of rooms at Bosrijk, so naturally, there is a lot of luggage passing through. Sometimes, if you get there early and your room isn’t ready, you will need to leave your suitcases in the space provided while you go out and enjoy the park. Now, with all those rooms, you would imagine that Bosrijk would have left a lot of space for baggage…but they haven’t. About a metre and a half wide by about 2 and a half metres is the space in which you are expected to cram your suitcases, strollers, golf clubs etc. Get some Vaseline on your suitcase and get ready to push! We managed to take a low quality photo of the ordeal; note the cases that have been left all over the floor outside of the baggage area. Oh, and good luck to the person who has their suitcase on the bottom of the pile!